Hi all, here is a nice local bottle for me that is not seen too often. Appears to be a graphite pontil that the maker ground down to make it less conspicuous. I'm thinking 1860s to 1870s, but would like input on the date range. The date range for AZULE Springs is 1885-1890. I would think much to late for a Graphite pontil. 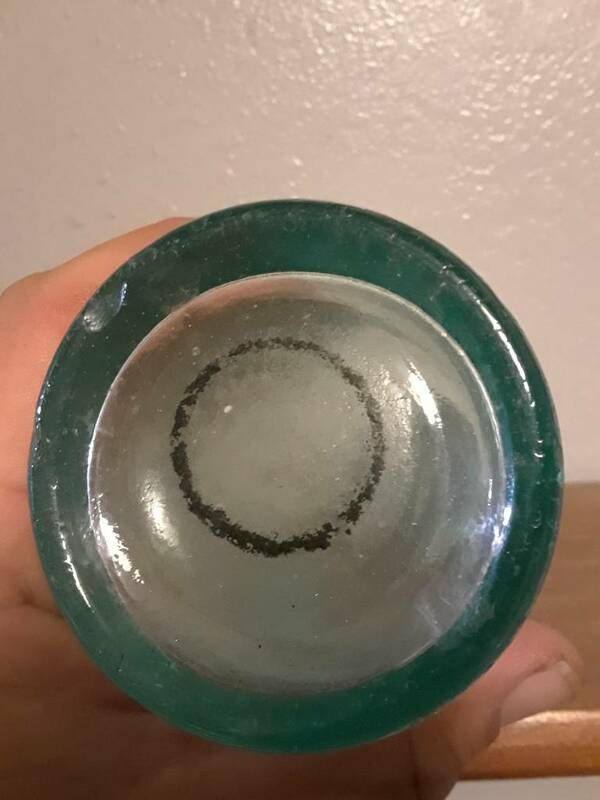 What appears on the bottom of your bottle (to me) looks like the remains of a rubber stopper used while tumbling the bottle. 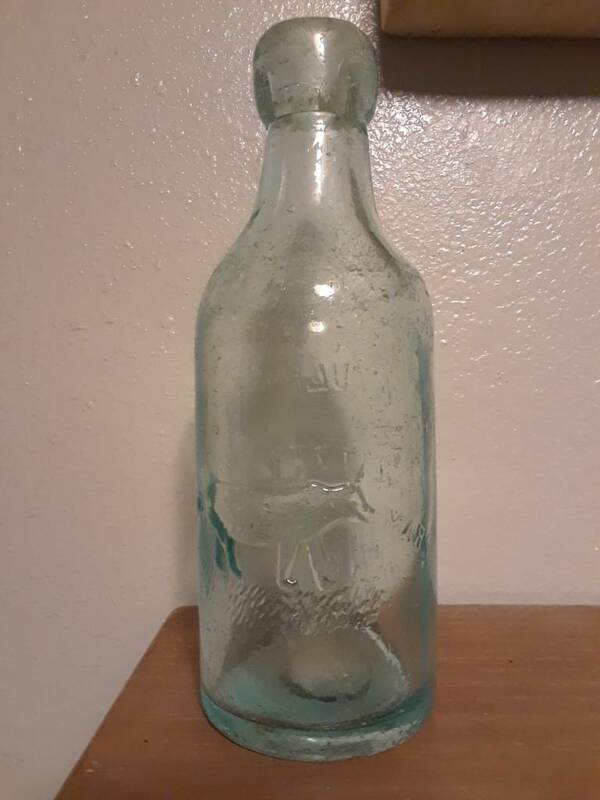 I had simular marks when I first tried to tumble bottles useing a ball to hold the base of the bottle. 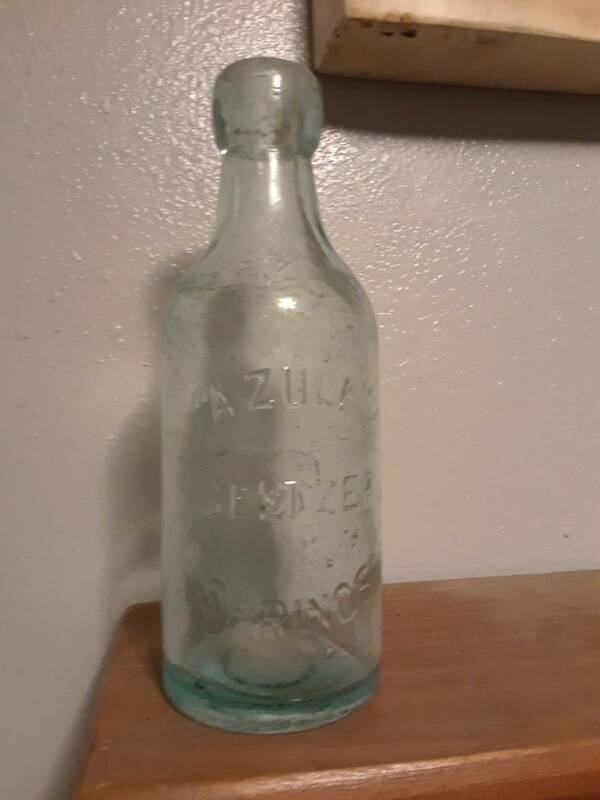 Very nice Azules and a not very common bottle. I agree that it does not look at all like an iron pontil. Never heard of a case where the maker ground an iron pontil mark, especially on such a utilitarian piece. If the foreman caught the maker doing that, he was probably looking for another job!